AMWU National Secretary Paul Bastian has called for Prime Minister Tony Abbott to squash damaging reports emerging from unnamed Government ministers that Holden has decided to shut down its operations in Australia. According to leaked government sources, Holden is planning to leave Australia by 2016, creating panic and uncertainty among the 50,000 workers employed in the company, reports the Australian Manufacturing Workers’ Union. Industry Minister Ian Macfarlane denied the reports that Holden will be taking its business elsewhere, but the AMWU asked for Holden officials to step up and clarify the situation for the sake of the troubled workers within their ranks. The AMWU have been quite vocal in their demands that the Federal Government ought to provide support for the auto industry and send a clear message to Holden that co-investment would be forthcoming if the company commits to continue working in Australia. Mr. Bastian took the opportunity to slam the Government for their failure to act quickly and prevent the rumours for Holden’s imminent departure to begin in the first place. “There are too many jobs at risk; the Prime Minister has to step in. Holden has warned consistently that without certainty of co-investment, they not continue manufacturing in Australia beyond 2016.This industry is critical to Australia’s manufacturing sector, and tens of thousands of people’s lives. If we lose it, we’re looking at a $21 billion hole in the economy,” he said. 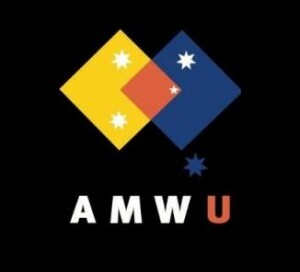 Members are encouraged to sign AMWU petition calling on Prime Minister Tony Abbott to take decisive action to retain Australia’s car industry.